Now Doctor Recommended for Your Health: The Plant-Based Journey Book! I am excited to announce that The Plant-Based Journey is now being recommended as the guide to transition to a plant-based diet by a growing number of doctors nationwide! Click on the image below taken directly from the Harbor Arthritis website, to enlarge. Over the past six years I have struggled to recommend a single “go to” book, when counseling patients on embracing a plant-based diet. 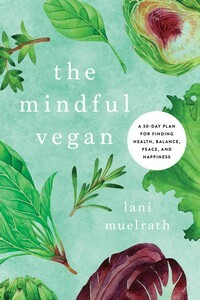 However, I now have found the ideal resource, The Plant-Based Journey, by Lani Muelrath. Lani is a seasoned educator, who specializes in helping folks navigate the challenges of healthy eating. I have just ordered several copies for my office. 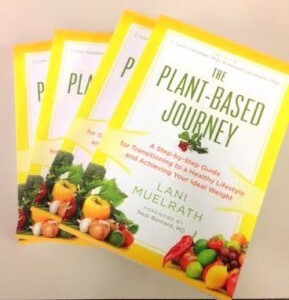 The Plant-Based Journey, by Lani Muelrath, is the best primer about embarking on a plant-based diet. As someone who has followed a plant-based diet for six years and has recommended the same to my patients, it is a relief to have finally found the “go to” book. The Plant Based Journey is a well-written and logical guide for healthful eating. Drawing upon her background as a respected educator, Lani has a welcoming and encouraging tone to her book. She has walked the walk, having lost a great deal of weight and has kept it off for years. I love how she appeals to a wide audience…Many of the other books that I have read regarding plant-based diets, were unnecessarily restrictive and unyielding in their approach. Lani, on the other hand, does not chide the reader if they don’t follow her recommendations to the T. Her approach is a welcome relief from others who are overly pedantic with their programs. There is a strong biologic rationale for embracing a plant-based diet. Humans are frugivores (fruits, vegetables, nuts and seeds). Our teeth, GI tract, enzyme systems and metabolic pathways are constructed to process mainly plant-based foods. Every day, I encounter patients who are suffering the effects of the Westernized Diet consisting of meat, dairy and processed foods. Only 2% of Americans get enough fiber in their diet. We are experiencing an epidemic of obesity and related disorders (Type 2 DM, hypertension, coronary artery disease. I am now recommending The Plant-Based Journey to my patients who are interested in learning about healthful eating. The easy to follow steps presented there, takes the mystery out of eating well. 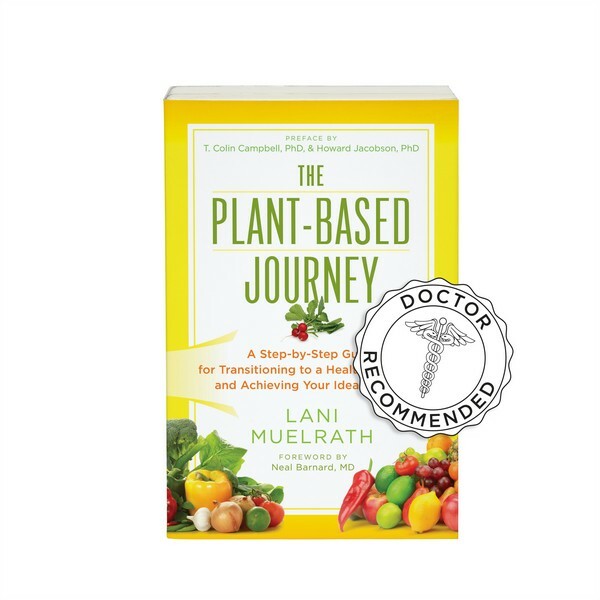 The Plant-Based Journey is now found in every waiting room of Dr. Huebner’s three-site practice as recommended guide to a plant-based diet is offered for lend or purchase for patients. My journey started six years ago after my brother David died of a heart attack at the age of 50. Shortly after that, I read an article about heart care in the NY Times written by Michael Ozner MD. In that article he described how one meal affects blood vessel health for 6-8 hours. I didn’t remember learning this in Medical School and I became intrigued with this phenomena. I dove into reading about this ,starting with “The Great American Heart Hoax”, by Ozner. Later that year, I went to a preventive cardiology conference put on by Beaumont Hospital. One of the talks was by William Roberts MD, a prominent cardiologist, who promotes a plant-based diet. His lecture was an eye opener and he mentioned the book, The China Study by T. Colin Campbell. I then read this and the idea of eating a plant-based diet began to take hold. I then attended Dr Esselstyn’s program at the Cleveland Clinic. Over a several month period of time, I along with my Nurse Practitioner, Jane Denay NP embraced a plant-based diet. In six months, I lost 30 lbs and stopped my BP and cholesterol drugs. That was a transformative experience and it changed the way I viewed and practiced medicine. I began promoting plant-based diets to my patients and I loaded my exam rooms with wellness literature. I began to expand the scope of my practice to incorporate lifestyle medicine into my armamentarium. As patients achieved results after going on a plant-based diet, I began to get referrals from some of the cardiologists in our area. Some of these patients have had amazing turnarounds in their cardiac status and have lost tremendous amounts of weight. Also, patients of mine with inflammatory diseases such as RA and lupus have also improved, at times dramatically after embracing a plant-based diet. My journey has had its ups and downs. I realized that, for me anyway, the Esselstyn diet was too restrictive. I began to eat more high fat plant-based food such as nuts and avocados. My weight has now stabilized at a healthy place. and my strength and mood have improved dramatically. I also, got back to exercising regularly, meditating and doing yoga. I have learned a great deal about what constitutes a healthy lifestyle. I have softened my message to my patients, because they need to know that you care, before they will care what you know. No one “guru” has all of the answers and one of the reasons I like The Plant-Based Journey and your approach is because it is welcoming and encouraging. One size doesn’t fit all and we need to accept that fact and work with people to help them along the path to wellness. 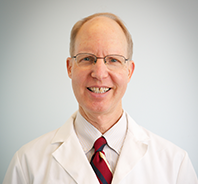 Charles J. Huebner, M.D is a professionally trained Rheumatologist, who obtained both his undergraduate degree in Biology and MD from Wayne State University. He then did his internship and residency in Internal Medicine at Henry Ford Hospital and completed a Fellowship in Rhuematology at the Detroit Medical Center. Dr. Huebner established Harbor Arthritis Center in April 1999 and Harbor LifeStyle Center in May of 2010. I am always reading the best plant based offerings and The Plant-Based Journey: A Step-by-Step Guide for Transition to a Healthy Lifestyle and Achieving Your Ideal Weight is the best yet. It is so accessible to the lay reader with a kind and encouraging approach to plant based living that I think will be a real game changer for individuals starting out on the journey. 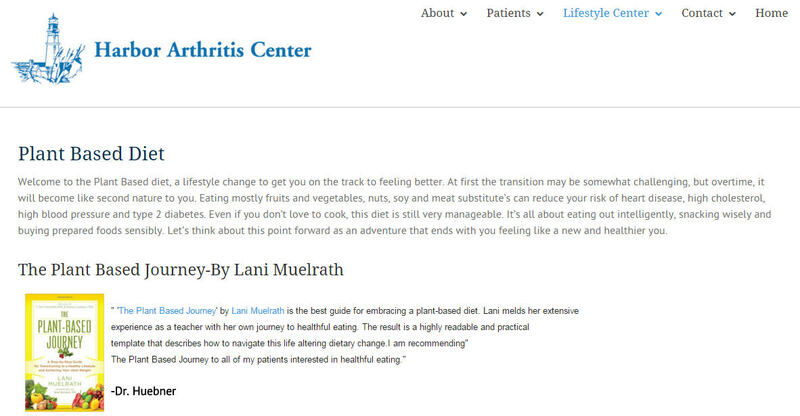 I am honored to be listed on Lani Muelrath’s profile of doctors and health professionals who are recommending The Plant-Based Journey as definitive guide to plant-based living. It is a treasure with so much useful, doable information and easy, delicious recipes. I am a physician and my specialty is pathology. My practice is hospital based in the laboratory where I examine tissues, body fluids, and cells looking for abnormalities and diagnose malignancies on a regular basis. Tired of diagnosing horrible diseases and conditions that are completely preventable and in many cases reversible, and performing autopsies on people whose first sign of heart disease is sudden death – which in my world, that happens all the time – I want to be part of the solution and not just a cog in the medical/industrial complex. Michigan Marcia C. Shattuck, M.D. is a board certified Pathologist who obtained her undergraduate degree in Medical Technology from Miami University, Oxford, OH and her M.D. from Michigan State University College of Human Medicine, East Lansing, MI. 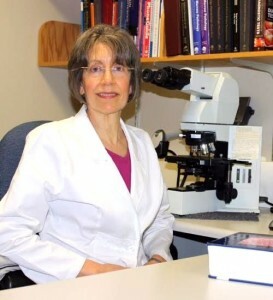 She did her residency in Anatomic and Clinical Pathology at Northwestern University Evanston Hospital. Dr. Shattuck has worked as a Pathologist in Illinois and Michigan, Most recently with Northern Pathology Associates since 1999. I’m a family physician who was board certified in both Family Practice and General Preventive Medicine during my years of active practice. 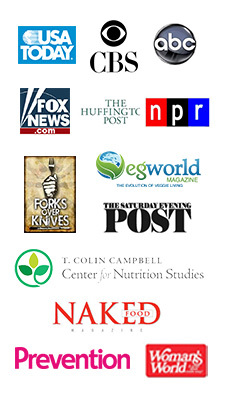 I’ve also been a member of the College of Lifestyle Medicine since 2008. Realizing early in my practice years that lifestyle was the most powerful factor determining health status for most people. I did all I could to encourage people to eat healthfully, exercise regularly, and take time for meditation to cope with stress and to enrich their inner lives. All through these years I kept looking for and reading books to recommend to patients to help them achieve healthier lifestyles. I found a number of helpful books, but when I recently read The Plant-­Based Journey by Lani Muelrath, I knew I had found the best guidebook yet for healthy eating. Lani’s book covers the rationale for plant-­based eating well, and she addresses the transition challenges involved in a caring but effective way. I recommend her book highly, thinking so much of it that I gave copies to several friends and family members for Christmas. This is a book that will help anyone who seriously wants to become as healthy as possible. 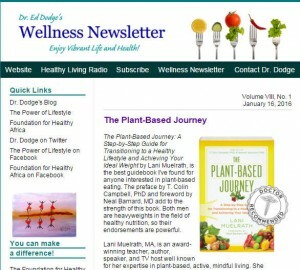 I have published an expanded review of The Plant-Based Journey in my physician’s newsletter here. 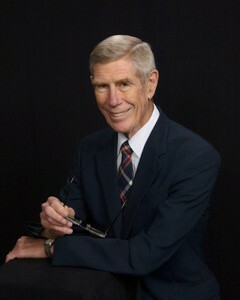 Ed Dodge graduated from the Indiana University School of Medicine with his MD degree in 1962. After earning his MPH degree at Johns Hopkins University School of Public Health in 1967, he was Assistant Professor at the Public Health College in Gondar, Ethiopia for two years. When he returned to the United States, he directed a local health department and was a family physician in Florida for many years. He began making Volunteer-­in­-Mission (VIM) trips to Zimbabwe from 2004 to 2010. From 2010 to 2015, he began serving as Visiting Adjunct Professor in the Faculty of Health Sciences at Africa University in Zimbabwe, teaching public health at both undergraduate and graduate levels. He lives with his wife in San Antonio, Texas, enjoys facilitating health workshops on request, writes a monthly Wellness Newsletter and maintains an active website, The Power of Lifestyle. I am thrilled to add Dr. Joel Kahn, also known as “American’s Holistic Heart Doc”, to the growing list of doctors recommending The Plant-Based Journey to his patients as the go-to guide for going plant-based. Micro changes, restaurant tips, plantify your pantry….and so much more in The Plant-Based Journey! We want the vitality, weight control, and energy that plant based nutrition offers but don’t always know how to implement the plan. Lani scores a bullseye in The Plant-Based Journey by making the process so clear cut and reachable. The Plant-Based Journey is a must read manual for life. My plant based crusade began as a young man honoring the Jewish dietary laws of Kashrut. Some things you eat, some things you don’t, and it all had meaning. Later, when I walked into the cafeteria of my dormitory freshman year 1977 in Ann Arbor, my Kosher rules and common sense screamed only one course: vegetarian. Ten years later, when I was a cardiologist in training in meat heavy Dallas, I read Diet for A New America by John Robbins and chose to practice a fully vegan diet as the core of my health maintenance program. That was all she wrote and I have avoided illness, medication, operations, and hospitalizations to this point. I rarely get sick and rarely miss work in over 25 years of a demanding cardiology practice. My approach to veganism has matured to a broader view and I consider a plant based plate the kindest approach to life we can make many times a day. For a quarter century I have recommended this course to my patients. 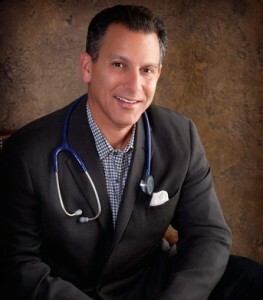 Dr. Joel Kahn is a plant based cardiologist whose brand of cardiology combines the best of Western and complimentary therapies for total healing. Dr. Kahn.serves as Clinical Professor of Medicine at the Wayne State University School of Medicine in Detroit where he has been a practicing cardiologist for more than 20 years. Director of Cardiac Wellness at Michigan Healthcare Professionals and named a TopDoc in Detroit for many years running, he is also an athlete, vegan, health advocate, and devoted family man. He is the author of Whole Heart Solution and Dead Execs Don’t Get Bonuses and lectures widely. Dr. Kahn and his family have just opened The Green Space Cafe where plant-based cuisine IS the menu. Whether for you or to pass along to another, this can’t help but be another avenue for plant-based living to make the way into more hands and hearts. You could even print this page and give to someone you care about who just needs a little nudge. Thank you, Dr. Huebner, Dr. Shattuck, Dr. Kahn, and Dr. Dodge! Introducing your guide to a healthier you! 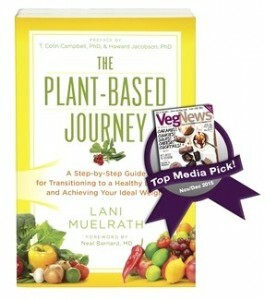 ” The Plant Based Journey” by Lani Muelrath is the best guide for embracing a plant-based diet. Lani melds her extensive experience as a teacher with her own journey to healthful eating. The result is a highly readable and practicaltemplate that describes how to navigate this life altering dietary change. I am recommending The Plant Based Journey to all of my patients interested in healthful eating. Hi Lani, I’m happy for your success and happy that you’re having such a positive impact on current and future generations of health conscious planet conscious people . Darin, positive impact…isn’t that what we all aspire to? Your comments mean a lot to me and thank you! Great news, I hope many more doctors jump on board! Thank you so much Janice. And good news – there are more docs, dietitians, and other health care professionals following Dr. Huebner’s lead. Your support means to much to me! Just in the middle of your book. A beautiful read and inspirational for those of us on the way to becoming fully plant based. Marie, thank you so much and I can’t wait to hear more from you as your journey through Journey!